Within Ascension Texas, Kate Henderson has specific responsibility for Ascension Seton Williamson, Ascension Seton Northwest, Ascension Seton Hays and Ascension Seton Southwest hospitals. In her tenure with Ascension Seton, Kate has also served as President of Ascension Seton Medical Center Austin, UMC Brackenridge and Ascension Seton Shoal Creek, Chief Operating Officer for UMC Brackenridge as well as Vice President for System Diagnostic & Therapeutic Services. Before joining Ascension Seton, Kate worked for the University of Iowa Hospitals & Clinics as well as the University of Wisconsin Hospitals and Clinics with responsibility for clinical care operations as well as support for graduate medical education programs & health-based research. An undergraduate alumnus of Iowa State University, Kate attended the University of Iowa where she earned a master’s degree in Health Care Administration & completed two international internships focused on international health care and population health management. She completed an administrative fellowship at the Cleveland Clinic. 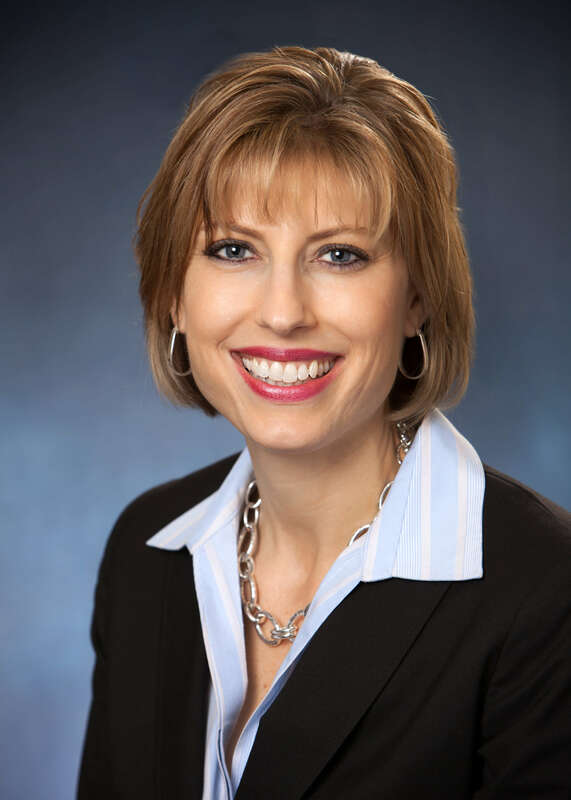 Kate is a graduate of the Ascension Health two-year Executive Formation Program as well as alumni of Leadership Austin. Kate has served as a leader within the Central Texas Chapter of the American College of Healthcare Executives and is presently the board chair for the Austin Metro YMCA, board member for the Health Alliance for Austin Musicians (HAAM), board member for the American Heart Association and serves on the Austin Chamber. Kate and her spouse, Dr. Ty Henderson, marketing faculty with the McCombs School of Business at the University of Texas-Austin, have two very active sons, Evan (age 12) and Ellis (age 8). Neal Kelley joined the Ascension Seton Family in 1998. Before moving to Ascension Seton Medical Center Hays, Neal was the site administrator for Ascension Seton Edgar B. Davis Hospital and the facility’s associated rural health clinics in Caldwell County. Neal brings more than 25 years of clinical and health care administration experience to his role as chief operating officer. Licensed as a registered nurse since 1991, he has a strong practice background in emergency, surgical and acute care nursing. Neal is an active alumni of The University of Texas at Austin where he majored in Biology. He also has a bachelor’s in Nursing Science from the University of Phoenix and is a fellow in the American College of Healthcare Executives. Neal has worked extensively on various rural health issues, developed strong community partnerships and continues to address access for the poor and vulnerable. He is a graduate of the Ascension two-year Executive Formation Program and currently serves on the board of Community Action of Central Texas. Linda Lotz joined Ascension Seton in 2010. Before moving to Ascension Seton Hays, where she provides leadership in cultivating philanthropic support that benefits Ascension Seton Medical Center Hays, Ascension Seton Edgar B. Davis, Ascension Seton Southwest and Ascension Seton Smithville, she served for 5 years as the development director at Ascension Seton Medical Center Austin (SMCA), the region’s largest medical/surgical acute care center. She led all fundraising efforts to benefit SMCA, most notably the capital campaign to create the new Ascension Seton Breast Care Center that opened in February 2014. Prior to Ascension Seton, Linda served as development director at Hyde Park Schools, a K-12 multi-campus school system, where she established a 501(c)(3) foundation and endowments and led the campaign to construct and equip a new high school and athletic facilities. In her early career, Linda was a marketing analyst for ConocoPhillips. Linda received her BBA from Baylor University and attended The Fund Raising School at the Center on Philanthropy at Indiana University, where she earned a Certificate in Fund Raising Management (CFRM). She is a member of the Association of Healthcare Philanthropy and serves on the Board of both the Association of Fundraising Professionals and the Kyle Area Chamber of Commerce.